Turned on my Vitamix 7500 today with some frozen coffee ice cubes and milk in it,and the blade assembly spun while the blade stayed where it was. That’s not good. Fortunately, I’ve had two experiences in the past where I’ve spoken with Vitamix support, so I had no doubt they’d take care of me. Sure enough, I called Vitamix support, after a short wait I was connected to a woman who looked me up, and they told me they’d have a new blender container in the mail to me shortly, and that I’d get a tracking number by e-mail once it was shipped. I know my Pro 300 spent most days in the summer having some kind of frozen coffee or fruit blended in it, and that use my Vitamix quite a bit, but it’s still unfortunate to see this happen. I’m thrilled Vitamix is sending a new blender container, and hope that this was a one off, and that the new container will be up to handle whatever I throw at it. Maybe I’m being a bit too harsh in rating this, as it was really tasty and everyone devoured it. That said, it was in that awkward middle zone between being a sorbet, frozen yogurt and a smoothie. 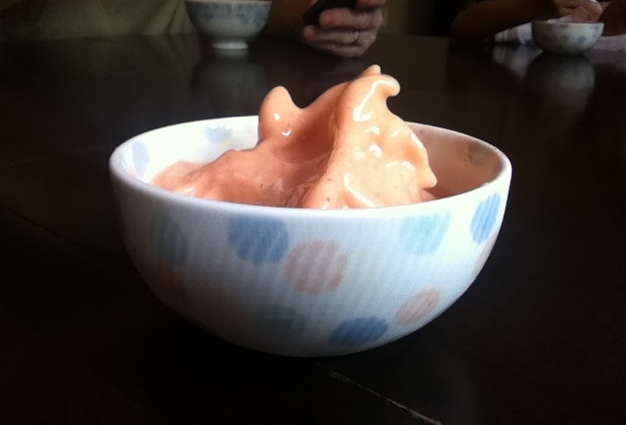 We just threw a lot of frozen peaches, a banana, some strawberries, the rest of the plain yogurt we had and some ice and water into the blender. As you’d expect, it definitely tasted good, but had too much water and ice to be a good frozen yogurt, too much yogurt to be a sorbet, and not enough water and ice to be a smoothie. Fresh fruit pretty much always tastes good when blended into a frozen treat, but having a structured goal or better recipe would have bumped this up a star or two. As you can tell from the name, this tasty frozen treat didn’t know what frozen treat it wanted to be. Freeze the peaches in advance. Then put the peaches, banana, strawberries and yogurt in the blender. Blend on medium to high, using the tamper and adjusting the blender intensity to ensure everything is well mixed. At this point you have tasty frozen yogurt. Frozen yogurt diluted with additional ice, water and/or yogurt as desired to create a smoothie or milder frozen yogurt. Serve immediately. Ripe, local, seasonal fruit is so good it doesn’t need much help, so no amount of random mixing on my part was able to make this not taste good, but trying to make a sorbet, similar to the peach sorbet I made, or a frozen yogurt or a smoothie would have been better than just randomly throwing things in the blender and ending up somewhere between the three. I do plan on trying to make a pineapple and peach sorbet, as we picked up a lot of fresh, locally grown peaches recently, and I think the pineapple and peach might go well together in a sorbet. Our backyard has a fence that’s lined with blackberry and raspberry bushes on the other side of it. The blackberries are at their peak and we we’re bringing in about a pound a day this week. 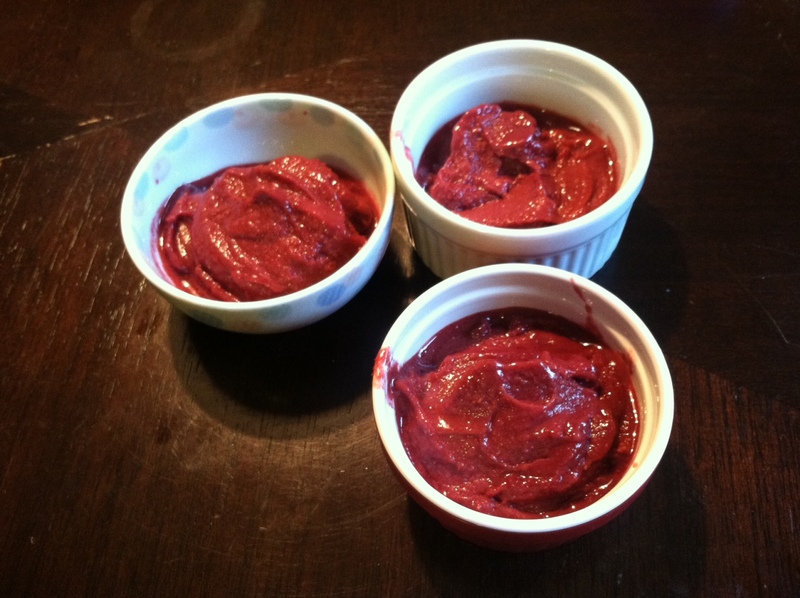 Based on how good the Fresh Peaches Sorbet was, we decided to try to recreate that magic with fresh blackberries. Unfortunately, the blackberries are smaller than what you’d see at the grocery store, and have a substantial number of seeds per berry. Despite blending them for a reasonable length of time, the gritty, sand-like seeds in the sorbet meant the excellent flavor was ruined by the unfortunate texture. Might work better with large, juicy farm berries, but still not something I’d recommend based on the gritty texture added by the berry seeds. Freeze half the blackberries in advance. Then put the blackberries and two cups of ice in the blender. Blend on medium to high, using the tamper and adjusting the blender intensity to ensure everything is well mixed. Add approximately three tablespoons of honey and taste. Sorbet can be sweetened with additional honey or diluted with additional ice. Serve immediately. 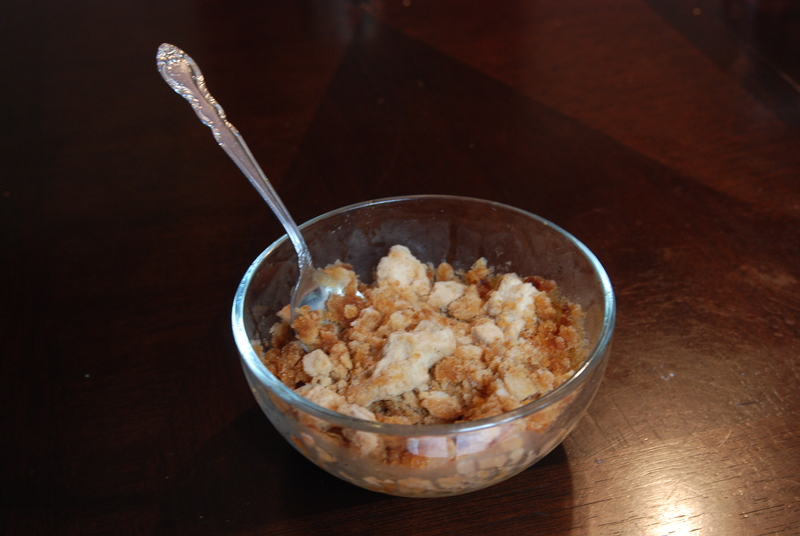 It looked good and had nice flavor, but it’s not something I’ll be making again. Neither this nor the berry juice I made last year seem to be great uses of the berries. Maybe I’ll come up with a great recipe involving the berries and Vitamix next summer. Why would I spend so much money on a Vitamix Blender? I definitely understand how crazy it sounds to some people to spend three figures on a blender. I deliberated myself for a few weeks before I finally decided to buy my first Vitamix blender, and I started this blender blog in part to make sure I kept using the blender. Two years later, I have no regrets, and would encourage people who are on the fence to buy a Vitamix. In this post, I’ll try to articulate the reasons I think a Vitamix blender is worth the price, focusing on some key points and sharing my personal experiences. Almost everyone would agree that Vitamix makes phenomenal blenders. Impartial reviews universally praise the Vitamix. One such example is a blender showdown by Popular Mechanics, where the Vitamix 5200 had the smoothest results of the five manufacturers that were tested, and Vitamix shares the top spot in the most recent Consumer Reports blender rankings. Yes, there are other high performance blenders available, but it’s good to be aware of difference between an average blender you might find at a big box store and a high quality, high powered blender. Peanut butter and hummus made with fresh sesame seeds instead of tahini paste are examples of things that you just can’t make in your average blender. But even if you’re not interested in making something that demanding, the texture difference between an inexpensive blender and a high powered blender is profound. Something as simple as a frozen banana and milk or ice cubes and fresh fruit is amazing with the right texture. I love Hawaiian shave ice, or as it’s called in Japan, かき氷 (kakigori), but I have virtually no interest in snow cones, and the only difference is texture. Whether it’s frozen treats, soups, dips or sauces, if the texture is better, the end results tastes better. I have killed my fair share of less expensive blenders. The ice cubes and frozen bananas I mentioned above that blend in my Vitamix have both been culprits in the early demise of cheaper blenders. Most, if not all, of those blenders probably had a one-year warranty, and broke inside the first year. I didn’t have any of them replaced with their warranty because I have jumped through similar hoops with other household products (most recently an electric blanket) and it usually ends up being more hassle than it’s worth, even if you did keep the receipt. I will admit, I have a very low tolerance for automated call centers that ask me to enter model numbers with my touch tone phone and/or it require navigating multiple menus and a lengthy hold time before speaking with a representative reading from a script. One of the reasons I purchased my Vitamix is because of the experience I had when I first called them to ask a few questions about their blender while I was on the fence. I almost immediately spoke with a real person who was very knowledgeable and answered all of my questions and concerns. I felt like, if I ever did have an issue with my blender, they would actually take care of me. Sure enough, they did. 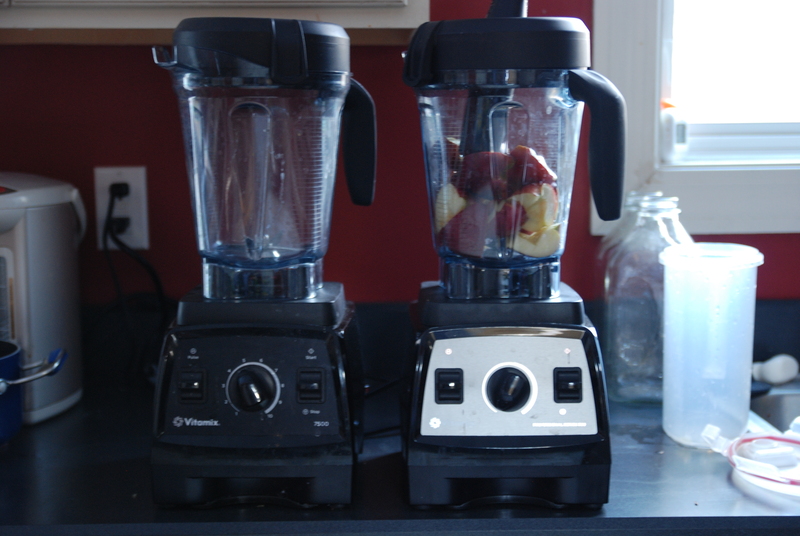 I’ve actually had two issues with my blender, and both times, I was shocked with how good Vitamix’s service was. My first issue, which is detailed in this post, was likely something I was partially responsible for, as I was throwing peanut butter, mochi, squash and a lot of other tough ingredients in the blender to see what it could handle. When a piece of the blender finally broke, I called Vitamix. 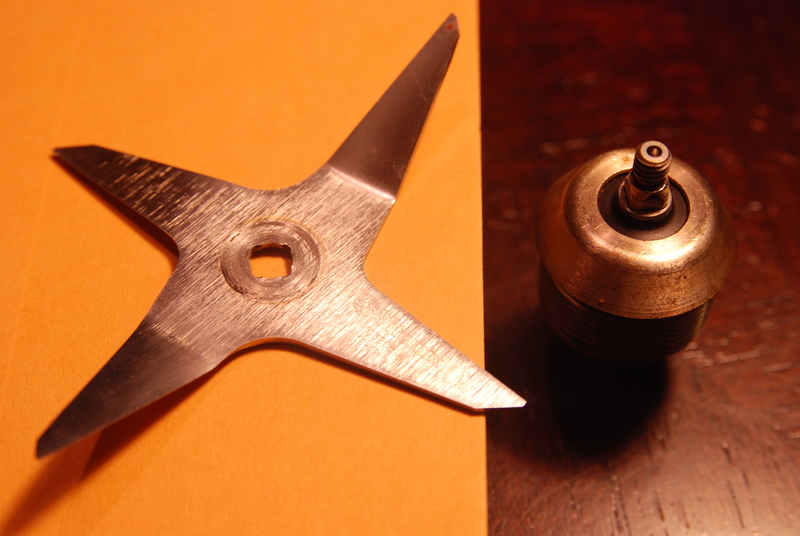 I spoke with a representative who explained the piece that broke was designed to break under high stress to protect the rest of the blender. She sent me out a prepaid shipping label to send everything back to VitaMix at no charge. Less than two weeks later, I had my repaired blender back, along with a brand new blender jar, and it hadn’t cost me a dime, only a few minutes on the phone. 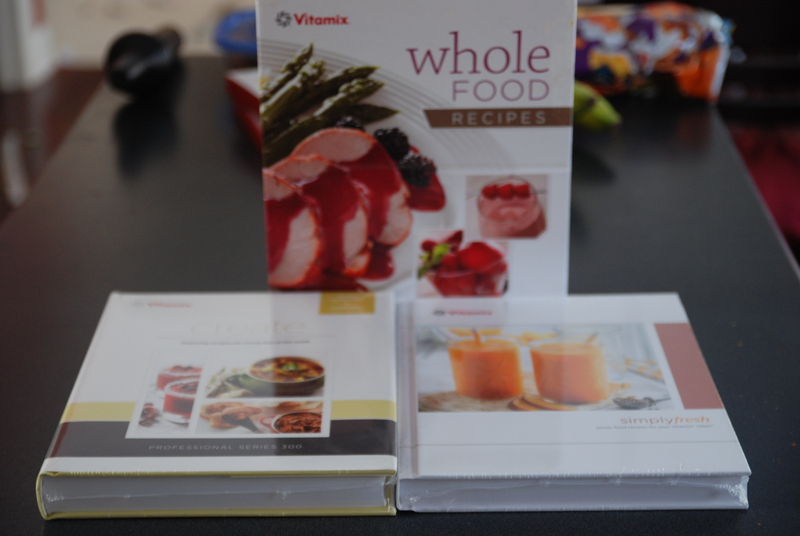 I was very impressed, but my second experience with Vitamix support was even better. I liked my Vitamix so much that I bought a Vitamix 7500, planning to give my 5200 to my parents for Christmas. I stuck the wrong tamper into the 7500 blender running on high and, well, there’s a picture over in this old post that’s worth a thousand words. 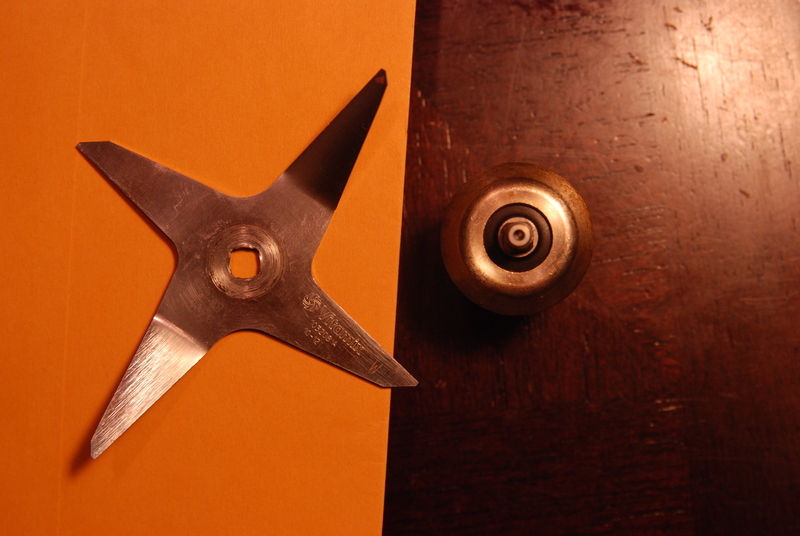 I called Vitamix with a mea culpa, explaining that I had done something very dumb, damaging both the blade assembly and my tamper, expecting to pay to fix one or both damaged items. Not only did Vitamix support say they would replace both under warranty, but when I explained that I was heading to Florida soon for Christmas, and that I was bringing the 5200, without blinking, the woman I was speaking with asked for my parents’ address, saying they’d try to get the tamper to my parents’ house before Christmas, and would send the blade assembly for the new blender to my house so it’d be waiting when I got back home. In January of this year, when I was able to get a Pro 300 for free from work, they let me return my 7500 without any trouble, paying for the return shipping. I cannot think of another company with customer service that can hold a candle to those three experiences. 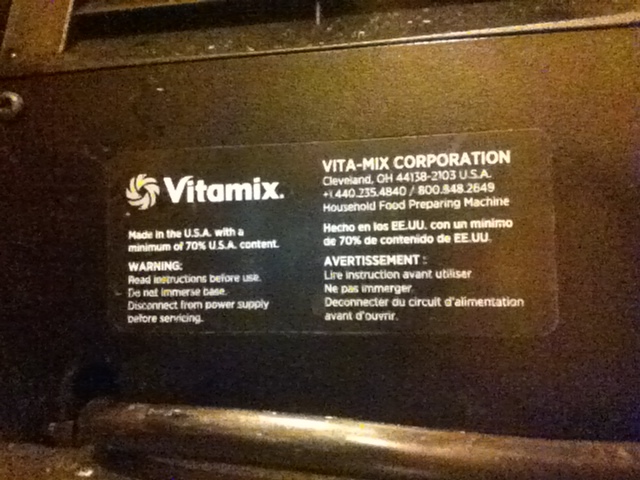 Vitamix’s standard warranty is seven years. Those customer service stories I shared above? They’re even more amazing when you consider that you are covered for seven years when you buy a new Vitamix blender. 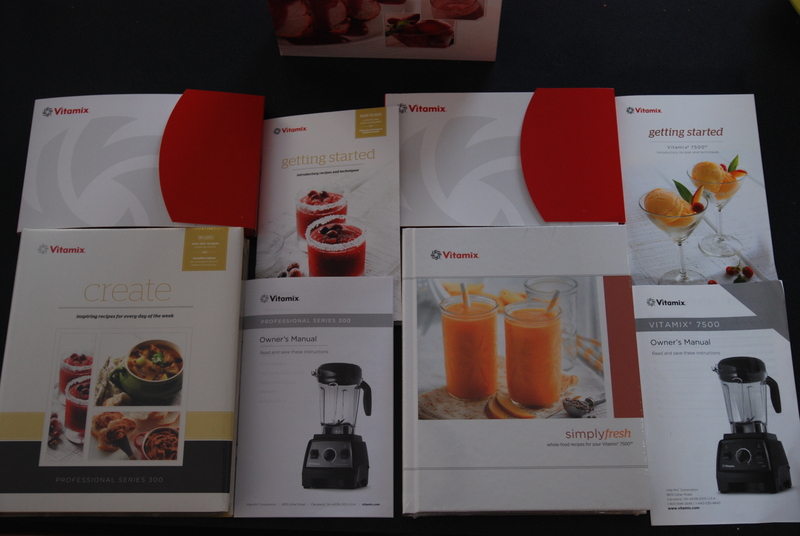 Even when you buy a reconditioned blender from Vitamix, it comes with a 5-year warranty, standard. Vitamix was founded in America three generations ago back when high quality kitchen appliances were built in America and built to last. They’re actually still making high quality kitchen appliances in America that are built to last. Their current president is the great-grandson of the founder, and no blender manufacturer has been around as long, or been as focused on blenders, as Vitamix. That seven year warranty I mentioned above provides that much more piece of mind when you realize that seven years is less than a tenth of the company’s history. Maybe this doesn’t deserve it’s own subheading, and what I’m about to go into is certainly personal preference, but I want to mention the controls. I’ve had more than one person ask me about the analog dial and switches compared to other blenders with presets and buttons. My parents replaced there older electric stove top with a new one with an LCD that offers, L, 2-9 and H for each burner. They like it, and I’m sure there are plenty of people who prefer that, but I very much prefer having my natural gas stove, and the analog controls that go with it. That’s how I feel about the controls on my Vitamix. I don’t want to press a button with the assumption that 60 seconds is the right amount of time for the texture I’m looking for, I’d rather have control over the strength and duration. The pulse option of the 7500 is a nice feature I occasionally use, but even if I went back to using a 5200, I’d prefer those controls over something just buttons and presets. (This is coming from a computer nerd.) My view point is obviously not universal, as Vitamix offers more than one version of the 7500/Pro 300 that does have presets. Should everyone go out and buy a blender this expensive and this nice? Absolutely not. I’m one of those people that falls into the category of regular blender user and I think it’s a wonderful kitchen appliance for people who will use it regularly. When my family moved from Japan to America after the March 11th earthquake, we had to get rid of all our electrical appliances that wouldn’t work with American voltage, which included the blender my wife had gotten me as a gift years earlier. She bought me a nice blender because I told her about my history of killing cheap ones making frozen drinks. The one blender she had bought me in Japan survived more frozen drinks than all the blenders I had gone through in high school and college. The satisfaction I derived from using a quality blender in Japan, contrasted with the frustrations of dealing with blenders jamming, breaking and leaving chunks pushed me to finally spending the money to buy a nice blender in the states. I was worried that I’d regret the decision, to the point that I started this blog to maximize the chances I wouldn’t, which is ironic, because years later, the reason the blog has seen the 50+ posts that it has is because it’s one of my favorite purchases. If you are wondering whether the 7500 or 5200 is right for you, I recommend this post: Is the Vitamix 7500 worth the extra money? If you do decide to buy a Vitamix, I recommend buying direct from Vitamix.com .